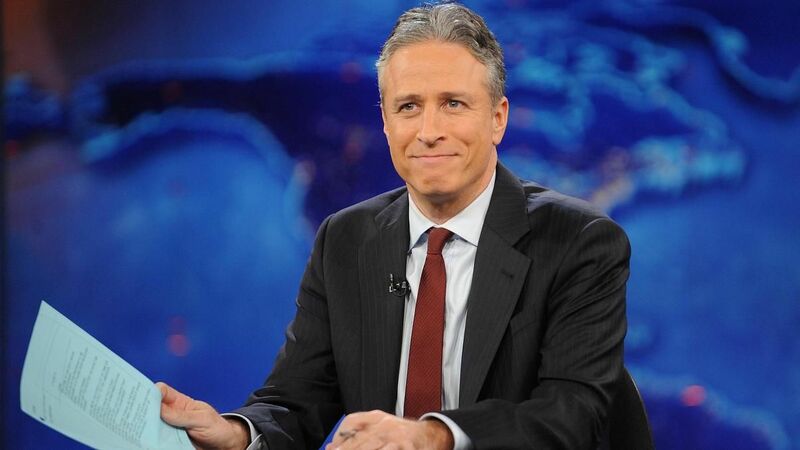 Jon Stewart Announces His Departure from ‘The Daily Show’!! There are only a few things that have remained consistent over the past couple of decades. Death, taxes, a good horror movie every few months, chocolate chip cookies, and the brilliance and comedy from Jon Stewart’s ‘Daily Show‘ on Comedy Central. For the last 17 years, Stewart has hosted a half hour comedy new program that quickly became one of the top news sources in the country. People were tuning out of CNN or MSNBC and connecting with Stewart’s unique brand of comedy and and news standards. He has definitely been the anchor there are comedy central as numerous co-hosts and comedy anchors have gone on including Steve Carell, Stephen Colbert, Aasif Mandvi, Samantha Bee, Ed Helms, Nate and Rob Corddry, Rob Riggle, Kristen Schaal, John Oliver, Josh Gad, and Lewis Black to name only a few. All of these talented people have moved onto have their own stand up specials, star in big budget movies, and have their own tv series. But one thing has remained constant. And that is Jon Stewart. He has been there, providing us with laughs and information, and has made us think about where our country has gone in the last 17 years. Deep down, when Stewart took time off to make his first film ‘Rosewater’, I thought this was the beginning of the end of Stewart at ‘The Daily Show‘, but I kept my mouth shut, because I didn’t want him to leave. But 17 years is a long time and as he announced his departure to his audience, he had a good point. “It is time for someone else to have that opportunity.” Stewart said he has a lot of ideas, but is not sure what he wants to do yet (maybe host a few more Oscar shows), but whatever it is, we will all be there with support. Below is his announcement. John Oliver Is Taking Over HBO!! This entry was posted on Wednesday, February 11th, 2015 at 9:41 am	and is filed under News, Television. You can follow any responses to this entry through the RSS 2.0 feed. You can skip to the end and leave a response. Pinging is currently not allowed. « Bradley Cooper To Produce and Possibly Star in Gregg Hurwitz Novel Adaptation!! !